US Army Infantry (11) Frag Out ! BRAVO-6 added another two-figure kit to dynamic posed Army Infantry series - Rumble in Jungle. Due to suitable poses, they can be used in jungle, trench or urban dioramas. B6-35300 U.S. Army Inf. (11) Frag Out includes two infantry soldiers; one reloading, other throwing a grenade. Kit content comes well packed in standard cardboard box of the company labeled with a photo of the assembled and painted figures. Body parts and small others are seperately inserted into transparent zip-lock bags. Casting is clean with no mistakes or air bubbles and details are sharp. A fast cleanwork will be needed to get rid of the slightly visible seamlines on the sides of body, arms and rifles. As usual, figures are sculpted by Vladimir Demchenko in 1/35 scale and cast in grey resin. Figure-A is posed to throw a hand grenade on his knees as titled on the boxart – Frag Out!. Figure- B is in prone position and smacking his magazine. Smacking is a common practice for most magazine fed weapons to ensure the bullets are seated properly in the magazine and reduces the chance of a misfeed. 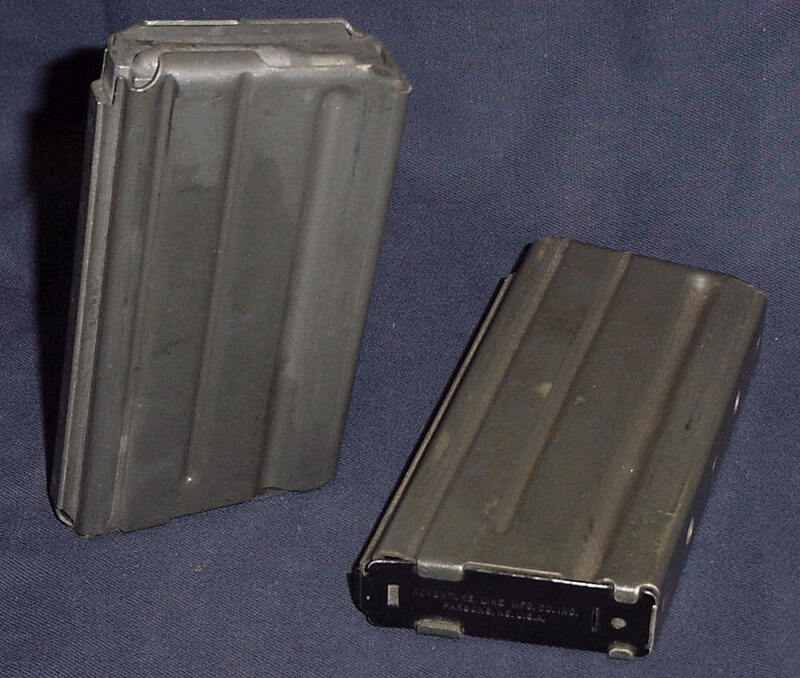 For the cartridges to feed reliably in M4/M16 style magazines, the cartridges must be fully to the rear of the magazine. If the cartridges are too far forward, the nose of the projectiles will get caught and fail to feed. To seat the cartridges to the rear, soldiers tap the magazine against a hard object. Since the soldiers probably have a one hand holding their rifle, tapping the magazine against their helmets is usually the fastest way to do this. Facial features and hair are nicely sculpted on figures that they can be used without helmets too. They both wear 3rd Pattern Tropical Jungle Uniform of Jacket with two chest and two lower bellows pockets - all with flap covers, Trousers having two rear and two bellows cargo pockets on both sides and with trotters inserted into canvas-leather combined Vibram jungle boots. As in all Vladi’s sculpts, half or fully loaded pockets, folds and wrinkles look very realistic. Some of the field gear are cast on the figures - Pistol belt, H-harness and M-16 ammo pouches on both sides are defined in nice details. Arms are sculpted in proper poses to the action of each figure. Right arm of the Figure-A Frag Out has an M26 lemon grenade at hand and raised to throw it as the left arm is posed to balance the body. Right arm of the Figure-b has a magazine and posed to tap it to his helmet as the left arm hold the rifle. Cloth folds, upfolded sleeves on A and buttoned cuffs on B are well defined. Two M16A1 rifles are given for the figures. Rifle for Figure-B is cast with the left hand on the forestock. Note that muzzles may need some extra care to remove from sprue, seamlines under the rifle and trigger hole may need cleaning. Two sprues with four M26 fragmentation grenade on each sprue. They will be added on both sides of ammo pouches. M1 Helmet with Mitchell pattern camo canvas cover - 2 pieces . Buttonholes or cut holes for attaching foliage and helmet straps are apparent. Highs: Frag out and smacking magazine poses can be used in many scenes like jungle, trench, behind wall and more.Uniform details are sharp and clean. Decal sheet is helpful. Lows: Trigger holes should be cleaned. Verdict: Again two great figures to add realism to Vietnam War dioramas.